Killamarsh Secondary Modern School 1949-1950. Production of Wind in the Willows. Can you put names to the faces. front row third on from left geff jackson. 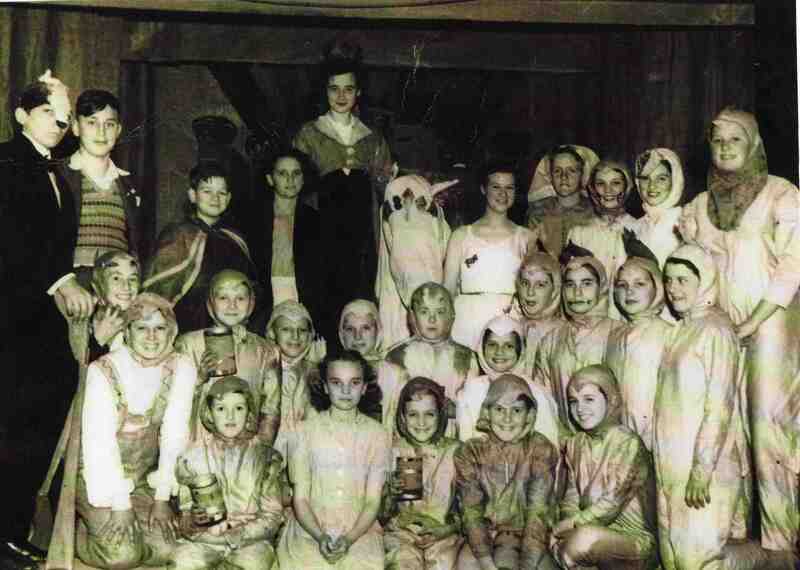 second row second on left charles godber aged 9. Graham Watson (2nd left in fair isle jumper) took the part of the policeman.